...like thousands of hoplophobes crying out in panic and then suddenly silent. 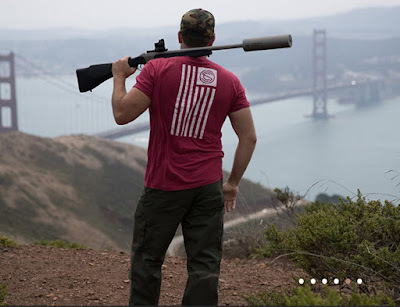 What you are looking at is an integrally-suppressed .50 caliber rifle that is not a firearm, is fifty-state legal, and can be ordered right off Silencerco's webpage right here. That sound you hear is Diane Feinstein's teeth grinding and Bloomberg's distal sphincter slamming shut. Glorious! "Peace? I hate the word..."
The stupid, it burns! Literally.